A prominent Chinese transplant official made a rare admission in an interview with a state-run publication recently, saying that the authorities have for years used the organs of executed prisoners for transplant without gaining their consent. Though that is already accepted as a reality among researchers of organ harvesting in China, the admission from a medical official was startling. The question of consent is a crucial one in medical ethics, since, in the case of organ extraction and transplantation, it is often seen as the dividing line between ethically acceptable practice and crime against humanity. The remarks appeared in an Aug. 16 interview conducted by Global Times, a subsidiary to the Chinese Communist Party mouthpiece People’s Daily. 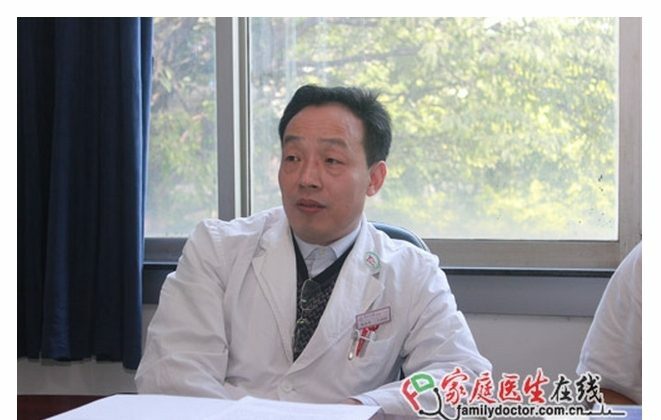 Yang Chunhua, director of the Intensive Care Unit of the First Affiliated Hospital of Sun Yat-sen University in Guangdong Province, gave the admission while attempting to make a broader point about the reforms that the authorities say they are currently pushing through the Chinese transplantation system. The newspaper said: “Previously, authorities used executed criminals’ organs without their consent, while permission has been required in recent years,” citing Yang. The harvesting of organs from prisoners would continue for the time being, however, because there are not enough voluntary donors in China to service the need. Though it was not Yang’s intention, he also happened to give ammunition to critics of China’s transplantation system by admitting that their exposures of abuses in the system are propelling some of the reform efforts. Yang is an establishment figure in China’s organ medical and transplantation system. The hospital whose ICU he is director of was the alma mater of Huang Jiefu, who also served as president until 2001; Huang published scientific articles under the aegis of the institute until recently. Prior to 2006 the Chinese Communist Party, and the Chinese medical establishment, was adamant that all organ donations in China were voluntary. After evidence came to light in 2006 of the large-scale harvesting of organs of prisoners of conscience, predominantly practitioners of Falun Gong, a traditional spiritual discipline that is persecuted in China, the authorities began to make piecemeal admissions. In 2008 Huang Jiefu admitted in the medical journal Lancet that the majority of transplant organs in China came from executed prisoners. By saying that only until “recent years” has consent been obtained, Yang is also saying that Huang Jiefu himself must have therefore extracted the organs of nonconsenting prisoners, according to Schwarz. “Huang Jiefu has been involved personally in organ harvesting from prisoners without consent and organ trade with foreigners, because he had been the leading liver transplant surgeon and responsible President at the Sun Yat-Sen Medical College” in 2000, Schwarz says. At the time the director of the hospital was Huang Jiefu. “This man, involved personally in all these crimes, also by more than 500 liver transplants he did himself, has been awarded by The Transplantation Society and the University of Sydney,” Schwarz said. According to a book written by a businessman favored by the Communist Party, The Transplantation Society in 2008 gave Huang the President’s International Award for his work on “transplantation in China.” TTS did not respond to an email enquiry about the award. Neither the University of Sydney nor Dr. Francis L. Delmonico, the president of The Transplantation Society, responded to multiple requests for comment on whether their position on Huang’s achievements and his role in the Chinese transplantation system had changed in light of Yang’s revelations. Ostensibly, Bo Xilai, the former Politburo member facing trial, is only guilty of “bribery, corruption, and abuse of power," but the story goes deeper than that. The Chinese government has committed to “reduce dependency” on its practice of seizing prisoners' vital organs for transplant but hasn't set a deadline.